One of my favorite movies of all time. This movie just celebrated its 22nd anniversary in August. This movie was a fictional account of the life of William H Bonney, aka Billy the Kid. 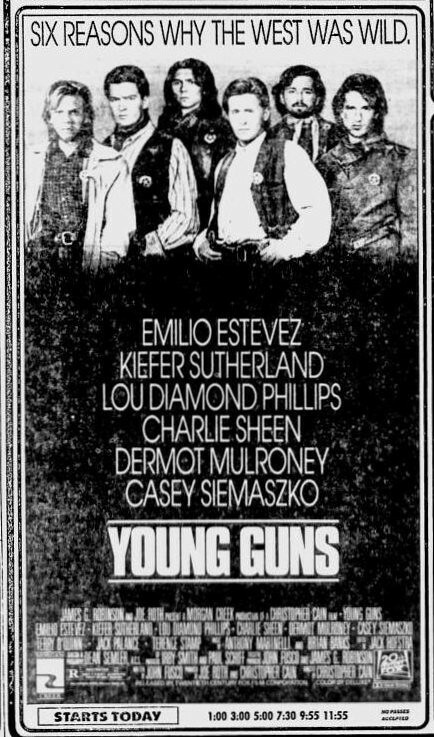 Next to his Brat Pack roles, this is probably Emilio's most famous role.